Back near the end of September, I poked fun at the city, SEPTA, and the Philadelphia Parking Authority for sending out a press release announcing a joint effort to place a “special emphasis” on stopping violations, and other sources of congestion, in Center City. The release didn’t actually propose anything new. Instead, it highlighted two areas for the special emphasis: bus, bike, and right-turn only lanes on Market and Chestnut streets, specifically between 10th and 22nd streets on Chestnut, and between Seventh and 13th streets on Market. It was basically the city saying, ‘Hey, we’re going to start enforcing our own rules.’ It was weird! But it seems the special emphasis has produced results — at least, in a way. A story in Friday’s Wall Street Journal looked at Philadelphia’s fight against congestion in Center City, using it as an example for cities across America. The WSJ conducted an analysis with a transportation analytics firm for its story, and found traffic speeds in Center City are down by 8.2 percent since 2015. Of the 10 most populous cities in the country, only Phoenix has seen a greater slow down. 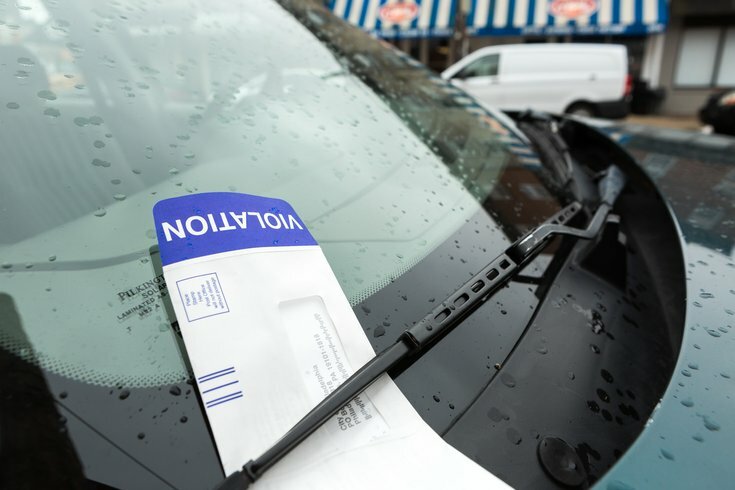 "The number of tickets issued by police more than doubled after the initiative began in late September, city officials said, while the volume of citations issued by the city’s parking-authority officers was up about 50 percent." It looks like the city is indeed enforcing its own rules at a greater rate. The bigger question: Will people care enough to switch things up? The story reports that Canada Dry’s Delaware Valley branch already budgets $100,000 each year for parking tickets in Philadelphia. Long story short: Center City is super congested, and the city is trying to fix that by issuing a bunch of parking tickets and citations. Whether it will actually enact change, or just make a bunch of truck drivers angry, remains to be seen.